A secured credit card is an excellent way for anyone to build credit and improve their credit scores. It’s a responsible step that pays off fairly quickly. The OpenSky® Secured Visa® Credit Card will be backed by funds that you deposit as security for the card. Because you lay down this money right out of the gate, Capital Bank can award you a card without checking your credit. This way you can develop credit without your score taking the hit of a credit inquiry. Learn more about an OpenSky secured Visa Card below. Apply for the OpenSky® Secured Visa® Credit CardStart building your credit now! One great thing about this card is its generous grace period. With this Open Sky credit Card, you can charge items and pay them off for a period of a couple of weeks without accruing interest. This wasn’t always the case with this card, but Capital Bank apparently responded to customer requests and included it. This gives their customers the benefit of being able to make charges without even generating interest, if they stay up on the payments. If you need a first credit card or need to rebuilt your credit with a card like this, this grace period sets this Open Sky secured Visa apart from the rest. Ideally, a customer would never carry a balance. This, combined with the regular reports to the three Credit Reporting Agencies, would give the customer a firm foundation for excellent credit history. APR, Transfer fees, and cash advances are all in the normal to low range. All a part of a package that looks out for new or vulnerable credit customers. This Open Sky Visa has a small annual fee. This cost is added to the security deposit made when opening the card. That security deposit can be very high or very low. It determines your credit limit. You won’t gain interest from this deposit, but you’ll get it back in its entirety. Potential customers should combine the total cost of their deposit and the annual fee when determining if it is right for them. After the first year, you can opt to increase your credit limit by making a contribution to your security deposit. There is a small fee associated with changing your credit limit, so do this only when necessary. It’s better to choose the right deposit amount the first time, to avoid that fee. The only downside I can think of is the fee associated with changing your credit limit. And this can be avoided. All the other specs on the OpenSky® Secured Visa® Credit Card are pretty excellent. The annual fee has been reduced in recent years and the grace period is a cause for celebration! Now you can finally have a truly secured credit card with very little opportunity for mistakes. Then you can just enjoy your rapidly rising credit score and improved history. 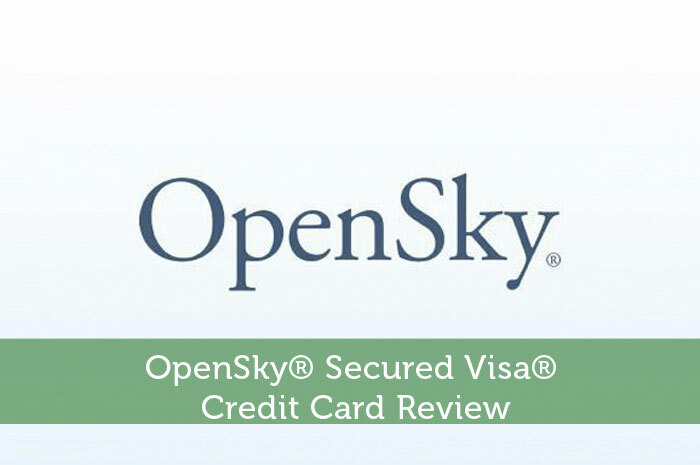 OpenSky® Secured Visa® Credit Card Reviewed by Modest Money on 08/18/2014 . Great article. This is the most effective way to know and learn about this OpenSky® Secured Visa® Credit Card. This will be very useful and helpful for those who are credit card users. Read and understand the article and you will get a brilliant idea. Thanks for sharing this article. I will share this information with my friends. Very informative. Nice review. I recommend getting a secured credit card for those who have bad credit and wish to rebuild it. Using a credit card wisely and responsibly is the easiest and most cost effective way to re-establish credit. DO NOT GET THIS CARD! The only reason I chose THIS card is becasue they tell you that you do not need a bank account. I tried to make a payment and now they tell me I need a bank account. Then when I asked to cancel the card because I DON’T have a bank account they tell tha tthe balence must be at 0. So instead of them keeping the money I already paid them they want me to pay them again only to refund me money which can take up to TWO MONTHS. HORRIBLE CUSTOMER SERVICE. No response when my card took two weeks to get to me after multiple attempts in reaching them either. SAVE YOURSELF A WASTE OF YOUR TIME AND MONEY.